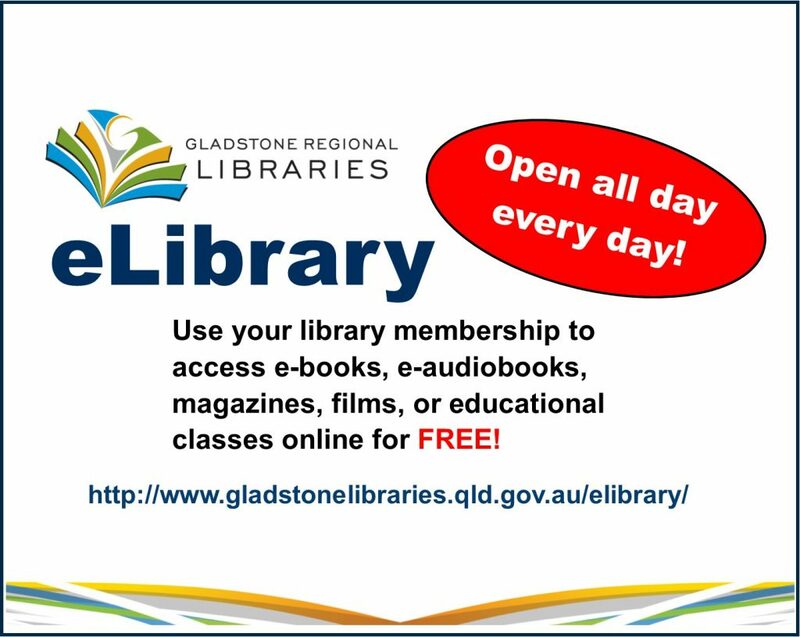 Gladstone Regional Libraries provide a free library service to people residing in the area via six branches and an Out and About service. The library branches are located in Agnes Water, Boyne Island, Calliope, Gladstone, Miriam Vale, and Mount Larcom. The Library Out and About van visits the communities of Wartburg, Rosedale, Lowmead, Nagoorin, Ubobo, and Builyan on alternate Mondays (see the two timetables below). The van provides a variety of resources to browse and borrow, as well as reserved items for customers to collect. All new members must produce proof of identity and residency in Queensland. This proof can be in the form of a rates notice, licence (with Queensland address), rent receipt or letter from your employer stating that you are living or working in the area. Children need a parent or guardian to sign them up for a library card. The parent/guardian must produce proof of identity and residency, as described above, and sign for responsibility of the library card and loans. Each member can borrow a maximum of 20 items at a time. Loans are for 3 weeks but can be renewed (online, in-person, or by phone) up to 3 times, except when items are overdue or reserved by another member. Items can be returned to any of the library branches regardless of the borrowing location. There are no fines for overdue items. However, overdue notices are sent when items are a week overdue and warnings are placed on the membership card. Overdue warnings still apply if a letter/email notice is not received by the borrower. Warnings remain on the membership card for one year. If a membership card has 3 warnings within a 12-month period, membership is suspended for up to 6 months. If a patron damages or loses any library item they are required to pay the replacement cost, or provide an acceptable copy of the same title. There is a small fee for minor damage to any library item, including replacement cases, labels etc.